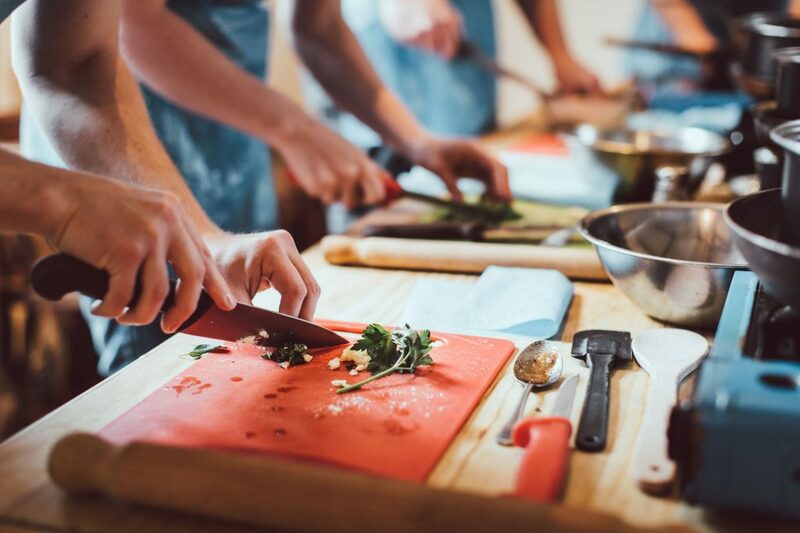 This knife skills with butchery class is designed to teach students how to use chefs’ knives with confidence and learn the correct methods of chopping and slicing. Learn the different uses of each knife e.g. filleting, chef’s knife, boning, paring and fine dicing. The perfect course for …. a keen and enthusiastic cook who would like to get a better knowledge of specific knife skills and techniques when cooking at home.